In modern industry, limestone is the main raw material for making cement, lime and calcium carbide. It is an indispensable flux limestone in metallurgical industry. After grinding, high-quality limestone is widely used in papermaking, rubber, paint, paint, medicine, cosmetics, feed, sealing, bonding, polishing and other products. Limestone can also be used to make glass, soda ash, caustic soda, iron ore with limestone as a flux, remove the gangue, to slagging materials with lime, and remove sulfur, phosphorus and other harmful impurities. Special Configuration: Cage type separator adopted. Compared with the blade type separator, cage type separator can separate more fine powder. This Philippines customer is very serious and strict on the equipment quality. He finally chose to purchase the machine from us after visiting many factories. He purchased the first set of MTW138 grinding mill from our company in the year of 2017. 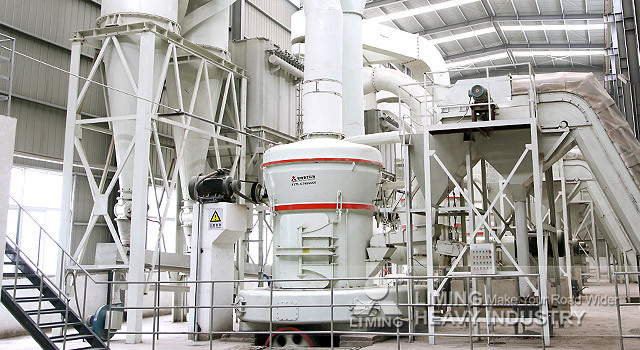 This customer use the grinding mill to process limestone, and the final product is as additives for cement production line. The equipment operates well, so the customer is very satisfied with our product and our service. We have developed a good partnership with him. In the year of 2015, he wanted to expand his production. He found us directly and purchased another set MTW138 grinding mill from our company. If you want to know more about our the grinding site of large capacity limestone production line, please contact our 24hours online customer service or leave us messages below!